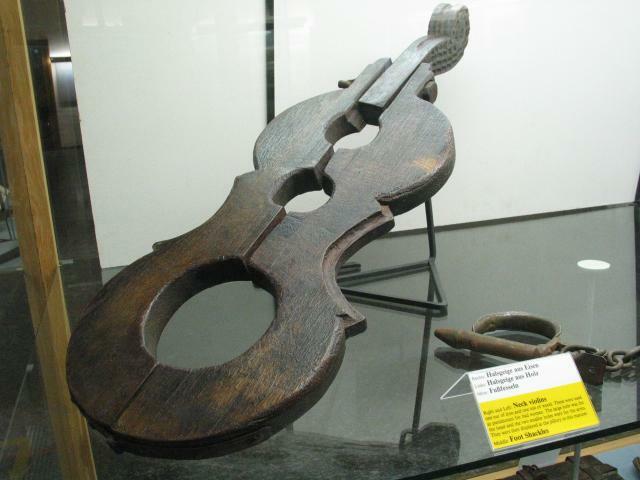 A "neck violin" in the Rothenburg Medieval Crime Museum. This was a sort of portable stock. The large hole was placed around the offender's neck, and the small holes held his or her hands. I didn't photograph the "double neck violin," which was normally used to lock two quarreling women together until they made peace.